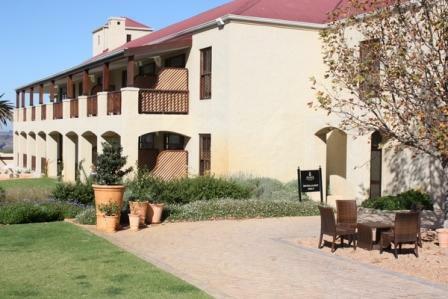 On a three-century old wine estate (Anno 1691), only 4km from South Africa's second oldest town, Stellenbosch, Asara Wine Estate Hotel is a spacious, modern 37 bed-roomed hotel, including 3 generous suites. 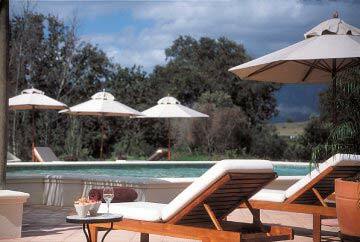 Guests can indulge in gourmet & casual dining in either of the two restaurants, Raphael's and Bistro & Tapas @ ASARA. 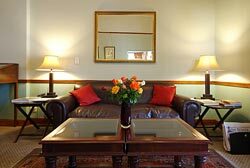 A fusion of a Stellenbosch guest house accommodation, bed & breakfast and luxury hotel, the DeKraal Country Lodge and Garden Estate combines the best of all accommodations to offer our guests an unparalleled experience. 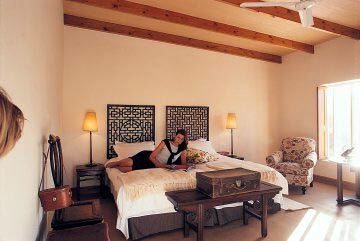 Accommodation options available are deluxe rooms, classic rooms and self-catering rooms and villas. 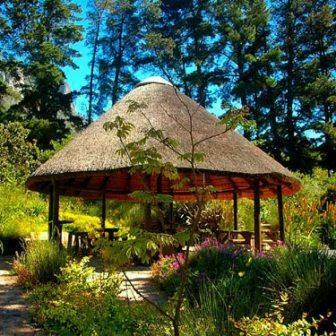 The Oak Tree Cafe serves a complimentary breakfast buffet and light snacks in the evenings. 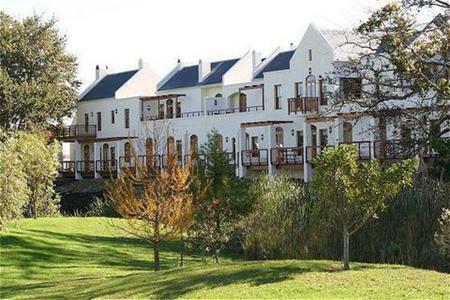 Blending the magnificence of natural beauty and vineyards, with sculptured greens at an international standard golf course, Devonvale Golf Lodge caters for Individual as well as group bookings. 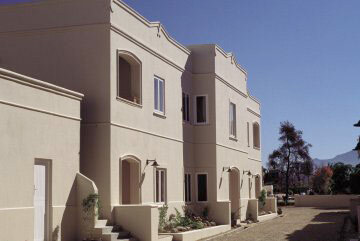 The lodge offers 20 self-catering apartments, 10 hotel rooms and holiday homes for long term stays. 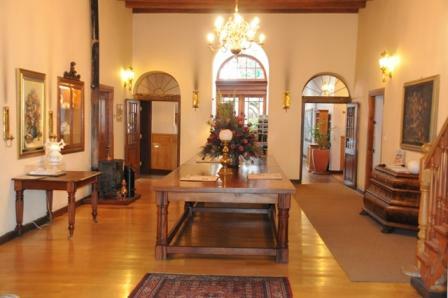 Guests are welcome to make use of the golf club facilities and all meals are served daily in the club house. 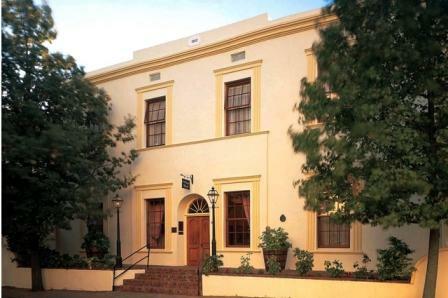 Established in 1802, d'Ouwe Werf is South Africa's oldest and most historic hotel and has defined hospitality and fine dining for centuries. 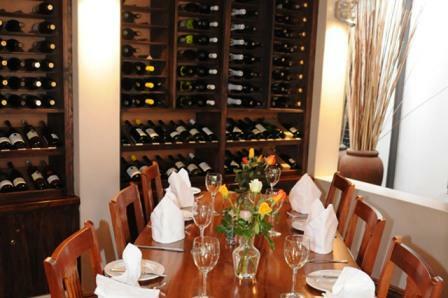 The "1802 Restaurant" is renowned for its fine food and boasts a wine list of note. 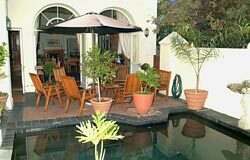 Situated historic Dorp Street this village hotel is within walking distance many excellent restaurants and coffee shops and all the major museums. 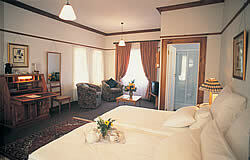 Eendracht Hotel offers 12 luxurious rooms and 3 semi self-catering units. 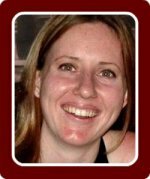 The coffee bar "Koffieklets" offers breakfast and light lunches. 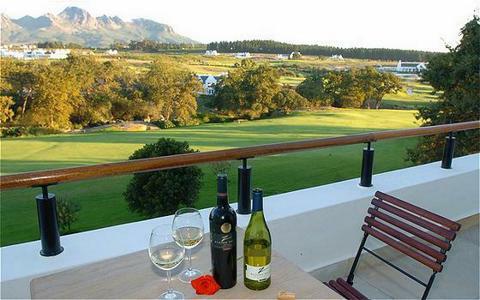 Kleine Zalze Lodge forms part of the De Zalze Wineland and Golf Estate. 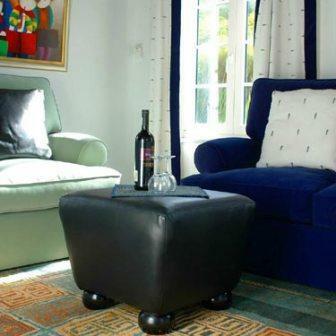 It combines outstanding winemaking and hospitality with leisure and pleasure. 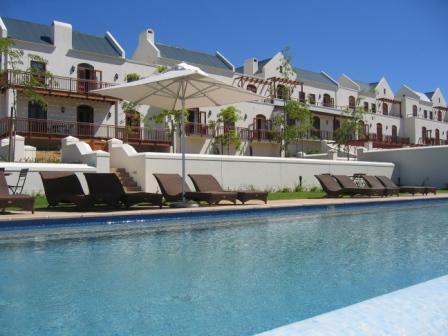 The 47 rooms are available in a variety of units: two bed roomed family suites, one bed roomed suites, superior rooms and standard rooms. 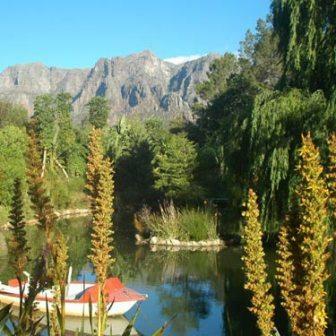 Terroir Restaurant have received several prestigious awards and offer dishes influenced by what’s in season and, where possible, the use of locally grown fresh produce. 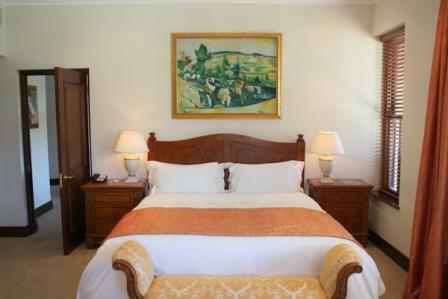 The Spier Hotel offers guests 155 spacious rooms, including four suites and nine Villa rooms. 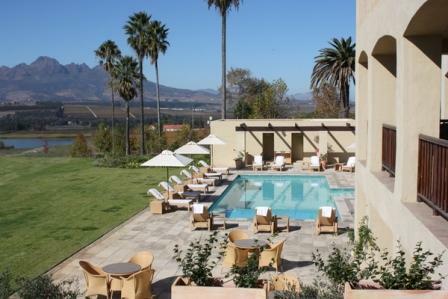 Entertainment and leisure options include fine dining at a number of different restaurants, cocktails at Toto's, tennis, swimming, encounters with eagles and cheetahs, horse rides through vineyards, wine tasting, quiet walks through the estate gardens, birdwatching train trips, picnics from the Spier Deli, the hotel spa and golf.